We’re already aware that One Direction is literally the hottest band on planet pop right now, but now the boys have each been presented with awards for an extraordinary 12 million global sales in just 12 months – an extraordinary feat in anyone’s language. 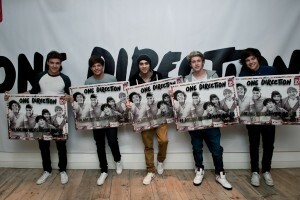 In the last year alone, the boys have sold three million copies of their debut album ‘Up All Night’ across the world, one million DVDs and an astonishing eight million singles globally. Band member Liam was philosophical about their startling success. After sell-out shows across the country this year, 1D will be back for more live dates in September 2013.